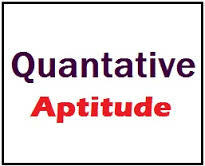 Dear Bank Aspirants practice Quant Questions for upcoming SBI and other exams. Today's Topic is Time and Distance, very important for SBI clerk point of view. 1. Excluding stoppage, the speed of a bus is 54 kmph and including stoppages, it is 45 kmph. For how many minutes does the bus stop per hour? 2. Two men starting from the same place walk at the rate of 4 kmph and 4.5 kmph respectively. What time will they take to be 8.5 km apart, if they walk in the same direction? (d) 2 hrs. 55 min. 3. Two cyclists start from the same place in opposite directions. One goes towards north at 18 kmph and the other goes towards south at 20 kmph. What time will they take to be 47.5 km apart? (d) 8 min. 20 sec. 9. Distance between two towns P and Q is 240 km. A motor cycle rider starts from P towards Q at 8 p.m. at a speed of 40 kmph. At the same time another motor cycle rider starts from Q towards P at 50 kmph. At what time will they meet? 10. A train M leaves Meerut at 5 a.m. and reaches Delhi at 9 a.m. Another train N leaves Delhi at 7 a.m. and reaches Meerut at 10.30 a.m. At what time do the two trains cross one another? 1. (b); Due to stoppages, it cover 9 km less. To be 8.5 km apart, they would take=[(1/0.5)X8.5]hrs=17 hrs. To be 47.5 km apart, they would take=[(1/38)X47.5]hrs=1(1/4) hrs. 4. (d); Let distance=x km & usual rate=y km/hr. 5. (c); Let the correct time to complete the journey be x min. =distance covered in (x+5) min. at 50 kmph. 7. (b); With a speed of 5/6 th of the usual speed, the time taken is 6/5th of the usual time. Therefore, (6/5 of usual time) – (usual time)=10 min. Therefore, 1/5 of usual time=10 min. So, usual time=50 min. 8. (c); Let original speed=x kmph. Sum of distance covered by them in x hrs=240 km. x=(240/90) hrs=2 hrs 40 min. So, they will meet at 10.40 p.m.
10 . (d); Let distance between Meerut & Delhi be x km and let the train meet y hours after 7 a.m.
Clearly, M covers x km in 4 hrs. & N covers x km in 3(1/2) hr. Therefore, Speed of M=(x/4)kmph & Speed of N=(2x/7) kmph. So, the trains meet at 7.56 a.m.